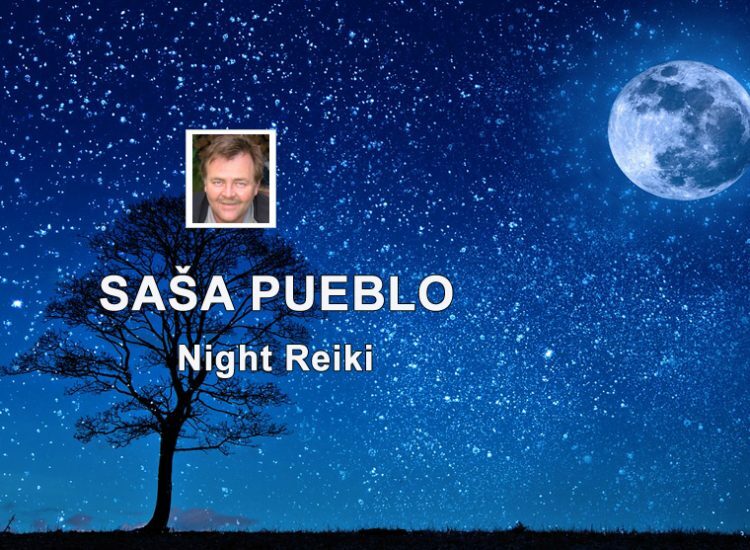 In principle we can talk here about reiki, which is practised into the night mode and so the person goes into the artificial sleep by using pills called hypnotics or get the person to the hypnosis by words or other techniques. We strive for reiki applied into the area of sleeping. So we can use it also during the night treatments, when the person who is treated with reiki is sleeping. This is interesting kind of reiki influence during the night and on the distance without the presence of the person who we provide reiki for. It is about the adjustment of sleeping, which has to be under melatonin and not to sleep under anesthesia-like substance which, in the body of the person can be produced automatically. Sleeping under chemicals which are produced in our body and which are similar to anasthesia is unhealthy and slow down all actions in the body. Human falls into a narcotic state of passivity and can go into stages of the clinical death. Under this stage the regeneration and maintenance in the body does not run. Reiki system helps the production lot of extra melatonin in fat cells and we can talk about huge amounts of nocturnal melatonin. Then the person sleeps heavily while in the body runs incredibly active maintenance and regeneration. 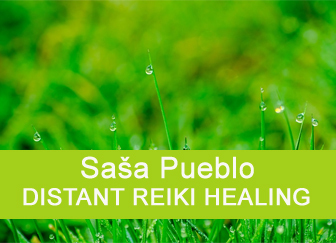 Special reiki treatment has to take care about the patient and adjust and increase the level of serotonin, tryptophan, rare elements and specific nocturnal melatonin. Thus the treatment should rather go into the early evening hours and not directly to the night. And when during the night, reiki on distance seeks to unblock the creation of melatonin. Melatonin plays here a role of strong sleeping substance and in principle high increase of melatonin has to be achieved. On the first place is to achieve this increase and melatonin production in fat cells and force fat cells to modification for melatonin production. Treated person has to leave the narcotic sleep because sleep under narcotic substances produced by the body means sleep without regeneration. While a person sleeps regeneration does not take place intensively and fully. But under melatonin that’s another matter. Also here is the effort to get brain parietal neurons to mobilize during the night and caused non epileptic condition. No need to worry, it is not a classical escalating seizure. This type of seizure is not intensifying but runs continuously at a certain level. And this is actually a unique thing how to keep the nervous system during the night in dynamics. But if the person has to be all right with such dynamics then has to produce melatonin in the body and fat. The goal of night reiki is to activate all neurons which support longevity. So we look up mainly embryonic structures that are also in the adult and are in the state of hibernation and sleep. We activate them through embryonic energies which we get by rotating imaginations of embryos and at the same time we will force neurons that have developed in the 5th and 10th and 15th and the 20th year of a person’s life. We smash them time perception and lie that we are still embryo and they need to continue to support us. Also we activate pieces of thymus stored anywhere in our body and force them to continue to control the construction of cell division and building organs. Do not forget to bring under control the area of the navel and umbilical cord which remains after the placenta. This area must promote longevity through digestion and protects the organism in old age. This is about strong activation of the melatonin in the body and mainly in the white brain matter and as a compensation and increase in fat cells. It´s good if reiki activates the activity of parietal brain during the night and nerves of the body were strongly influenced by parietal brain. This is a strong activity, which allows unique overnight recovery by the condition that melatonin, serotonin, tryptophan, rare elements and form B vitamins are produced strongly in the night. It is a seizure that doesn´t raise but shows good potential for regeneration during the night. Parietal brain is able to produce around the body strong aura. Under aura surrounding we understand creation of stronger bioenergy, which constantly flows into aura around the body and particularly strengthen it. Around the body is a constant stream of bio energy from the body. It is bio energy from organelles inside the cell called mitochondria and are as small as a speck of dust or even less. Every cell of the body is still producing bioenergy, which will be collected together on the surface of the body and flows away outside the body. We can not see aura by eyes. But sensible people can indirectly perceive aura and therefore energy flow. Thus not increasing the seizure may activate the nervous system and the human brain. The energy from epilepsy, which does not increase can flow into aura of the body and increase the total bioenergy potential of the entire body. We successfully tested this system and it works and is a component of many long-living residents of Caucasus. Equipment TENS for low electric current and psychowalkman. It is good to have those equipments and use them many years and regularly. The organism is aging and is unable to provide chemicals at the level of superconducting materials. Likewise, the organism needs at night in neurons and neural pathways chemical neurotransmitters that are in a certain rhythm. These oscillations go most often from muscles, but as the body ages we must ensure their production on the vocal cords or other membranes of the human body. Vibration of these membranes produces chemicals for neurons and nervous system. It is necessary to take care that these neurons and chemicals in them are flickering and that they are strong enough. 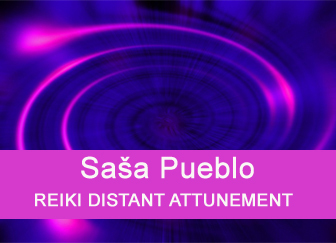 Reiki healer can promote the formation of such a pulsation frequencies. This is inspiration for night sleeping and the state of magnetization and chemicals in the body. It is a magnetism at the level of supramagnetism and paramagnetism and not a normal classical magnetism of the metal magnet. It is a magnetic force to elemental carbon and various elements. This kind of unique magnetism has to be extremely strong and must maintain as much energy in sleeping human body. This energy is produced in mitochondria with the working name Power Plant. This is a micro organelle in each cell and produces para and supra substances. Mitochondria are able to adjust atoms inside of elements and produce unique substances that does not recognize the medical biochemistry. Melatonin and serotonin are sleeping hormones. They can put the brain into a strong recovery. Brain and neurons sleep during the night and despite the dynamic night reconstruction the person does not wake up. And when he wakes up, he fast asleep and nothing happens. We have to add aminoacid tryptophan and rare elements to these two hormones. These substances have to be produced in fat cells. If this doesn´t work, melatonin and tryptophan could be taken in tablets form and rare elements are in St. John’s wort. Not every made melatonin and tryptophan replicates a real melatonin produced in the body. Digestion can destroy used melatonin and then must be taken through the skin and so passing whole digestion. There is one problem and this is that we shouldn´t allow decrease of melatonin levels during the night sleep. Melatonin shouldn´t be replaced with something like narcotic substances administered during the surgery. That is the worst thing that can happen and why? If you have at night high doses of melatonin then the brain relaxes and is not waken, despite the fact that in the body is running extremely strong maintenance and repair. If the person has a narcotic chemistry and regeneration and maintenance is minimal then the person is increasingly tired and aging gathering pace. A person who wants to live to a higher age should permanently strive to maintain during the day levels of melatonin than normal healthy person at the age 30. And during the night is the level of melatonin so high that we can talk here about the poisoning with melatonin. Selection of the dream from the memory is also a technique how to increase melatonin level in the blood. And for example develop the story of the dream from some creative ideas. State of nap is the technique of laziness where you falling and getting attention. This technique also reinforces the need for the level of melatonin in the blood and you will learn to produce this necessary level of melatonin in fat cells. Yawning is a technique how to unexpectedly fall into micro unconsciousness and after a few minutes awake from it. Or only technique to reduce attention and produce higher levels of melatonin. Calling of microsleeping is a technique how to unexpectedly slumped into micro coma and after few minutes awake from it. Often fatal moment for the driver behind the wheel, but super moment to raise melatonin levels. Those are specific techniques used in hypnotist practice. 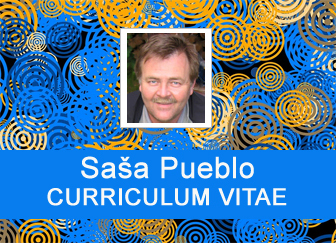 Hypnotist is the person, who can bring the person into something like the artificial sleep. Normally it takes a few minutes or longer while the person falls into a sleep. Hypnotist can bring the person into the hypnosis immediately. Some leadership people can be difficult hypnotized or not at all and they have to take certain hypnotic drug. Hypnotist can put a person into a somnambulistic state of sleepwalking. It’s a little different condition than sleep hypnosis and in fact most often speaking from a dream. Sleepwalking – somnambulism is the ability by which a person falls asleep and still carries out instructions of the hypnotist. Most often hypnotist transfers the person into the artificial sleep and induces him to talk about experiences and what he sees. The hypnotist can train the person in oracular abilities and for obtaining certain type of information. 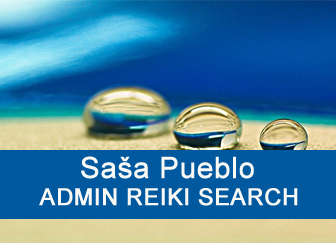 In this case reiki healer uses remotely the person who doesn´t sleep but also the person which already asleep. These are hypnotic techniques like: swing in imagination, counting numbers, somewhere falling, you are dropping and so on. These ideas should be pulled out from memory of the treated person. This is done when the person is not properly attuned to the treatment or its initiation. Reiki hypnotist can cause on the distance in the oral cavity the formation of certain chemicals or in the brain temporarily disable or restrict the activity of certain chemicals. If melatonin levels gradually increase during the day and at night, its production achieves the state of poisoning of the body. Of course it is necessary to get used to that extremely high levels of melatonin during the night and this have an impact on higher levels of melatonin during the day. And this affects the reaction and rationality. It is needed to learn how to operate in a state of sleepwalking. It is difficult how this condition has to be tuned. For example so that in the parietal brain we switch functioning of the left part into the right and right to left. This state allows to operate even under stronger dose of melatonin during the day. In older age and after 60 years is the question of strong production of melatonin issue of active aging or passive napping. This is about total sleep and the need to sleep under melatonin and not under narcotics like narcotics given to the patient during surgery. This is the base for health maintenance and active long living. Night state has several phases and also the person will manage it or participate in the management by oscillations of muscles – one oscillation phase of the peace or 5 vibrations and one phase of the peace. Night state is poorly regulated because the person loses consciousness and can not directly manage his night state. So Reiki healer begins to build night consciousness of dreams and emotions in the treated person. Dream object is built in the midbrain during the night and this object would affect night states. It is possible to help clean the dreamy archive of the treated person. People naively think that nice dreams are helpful for their health. Unfortunately, it works in the area of the dream completely differently and unpleasant and frightening dreams are just the good chemistry. When you suddenly wake up at the night and you perceive your dream then the classical logic is switched off and the perception is symbolic. This is the perception of chemical reactions during the night. And when you wake up and you have wonderful dreams then you have inappropriate chemical reactions. Reiki treatment also leads to purification and treatment dreams archive, which is rooted in the midbrain. Somewhere in the middle brain is the size of eggs midbrain around the hypothalamus. Eye is extremely unique organ. We will not to talk about the eye here, which works during the day. We are not interested about this. We look at the eye as the night organ, which manages whole regeneration of the brain and so the whole body. In embryology is known that the brain and the whole nervous system and the eye arising from the same base on the level of morula or embryonic blastula. And here is something that is interesting to us that the state of the brain is also reflected at the micro-cells of the eye. Sensibil person sees what the ordinary person can not see. But even conventional medicine writes about this unique show. 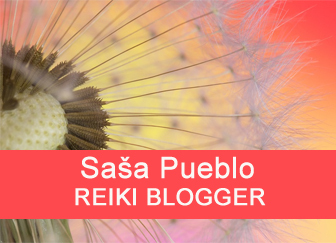 Reiki healer seeks to cure the condition in eyes what then at the night will affect the recovery of the brain and create a healthier and more active environment. Emotions and sleep is complicated complex, but we know that excessive positive or negative emotions are extremely strong in blocking sleep under melatonin, serotonin, tryptophan, rare elements and nightlife complex B vitamins. The failure is if the body doesn´t produce enough melatonin and other items and then during the night is in the state of narcotic substances similar that are given to patients during surgical interventions. But sleep under narcotics is extremely unhealthy and strong emotions block its formation. It is necessary block emotions within the reiki therapy. But often after liquidation emotions of that day appear in the brain emotions of the past and may again block the production of melatonin. There are four basic emotions and they are fear, sadness, joy and anger. But also we know the sexual emotions such as jealousy in love, fear, anger, sadness over the loss of a loved one.